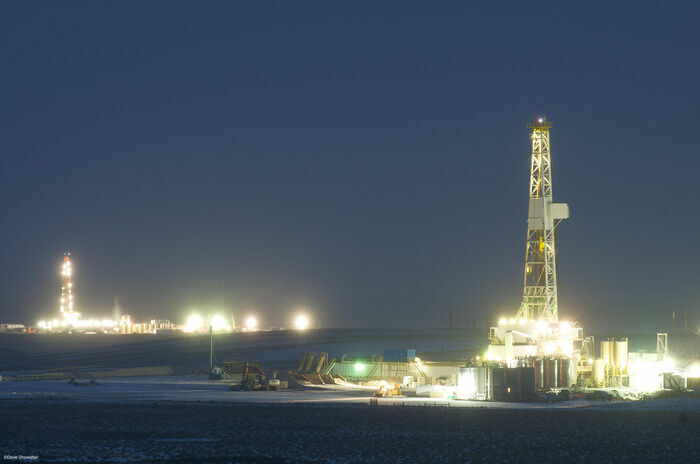 Drilling for natural gas continues year-round on the Pinedale Anticline, near Pinedale, Wyoming. The Anticline is also critical mule deer range and the Pinedale herd has declined by over 60% since winter drilling operations began. Photo © copyright by Dave Showalter.